President Donald Trump announces his June 12 meeting with North Korean leader will take place as scheduled. U.S. President Donald Trump announced on Friday that his meeting with North Korean leader Kim Jong Un will take place as scheduled. 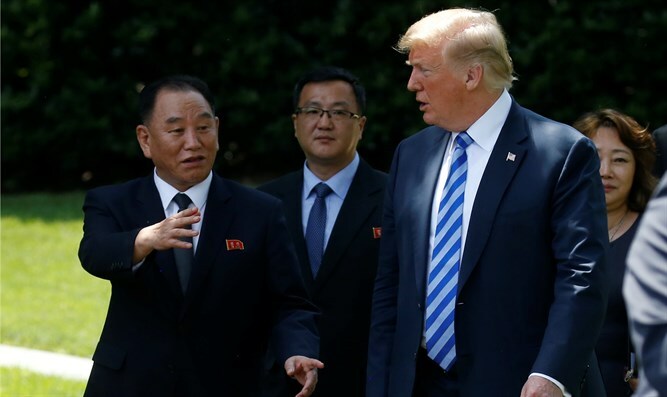 "We'll be meeting on June 12th in Singapore," he said following a meeting with North Korean official Kim Yong Chol, a close aide of Kim’s, who delivered a personal letter from the leader to Trump. Referring to the issue of North Korea’s denuclearization, the President added, "I think they want to do that, I know they want to do that. They want other things along the line. They want to develop as a country." 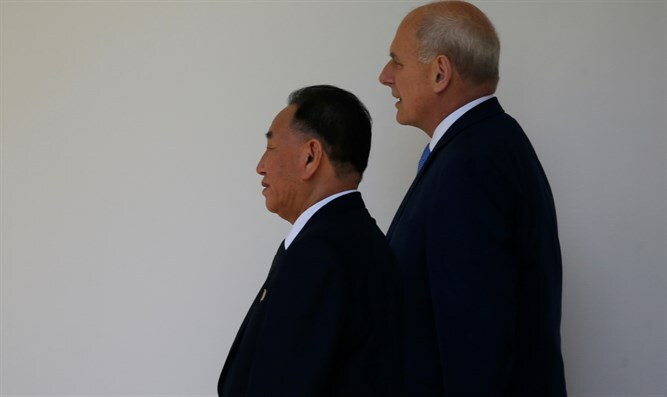 Kim Yong Chol, who arrived at the White House on Friday afternoon, was seen being ushered into the West Wing by the president's chief of staff, John Kelly. Trump's meeting with the official in the Oval Office lasted more than an hour. The contents of the letter he gave to Trump were not immediately known. Earlier this week, Kim had dinner in New York with Secretary of State Mike Pompeo in order to set the conditions for the talks, which were scheduled to take place on June 12 in Singapore. After the meeting, Pompeo said the two sides had made “real progress” in resolving their nuclear differences but declined to say if there was a breakthrough. Trump last week called off the June summit with Kim, citing Pyongyang’s “open hostility” towards the U.S. in recent statements. The President later said the summit could go ahead as planned following a more appeasing statement from Pyongyang and productive talks with North Korean officials.